Europe is rich in innovation. Some the world class companies in technology/design are from Europe. 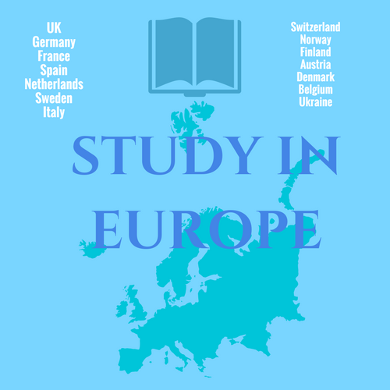 European Universities offer a variety of programs (recognized all over the world). The European Union submits over 44% of the total number of patent applications worldwide. Some countries offer free education! Cheap and tuition-free higher education is offered in Germany, Norway, Sweden, Denmark, and Finland. University of Oxford is the oldest university in UK (established in 1096). University of Bologna, Italy is the oldest university in Europe (est. 1088). Sweden, Finland have highest researchers to population ratio. What are most popular majors in Europe? Nursing, Psychology, Law are most popular majors. Moscow State University offers excellent programs in Physics and Material Sciences. Which countries are top destinations for international students? Germany, UK, Netherlands, and France are top destinations for international students. Delft University of Technology: Computer Engineering: A Grade Point Average (GPA) for the BSc program of at least 75% of the scale maximum. A Graduate Record Examination (GRE) score of at least 450 verbal/550 analytical/650 quantitative. Proof of proficiency in the English language: a TOEFL score of 90 on iBT (TOEFL) or an IELTS (academic version) overall Band score of at least 6.0. Typical Swedish University requirements.. - Master program: TOEFL at level 550 (213 computer based) or above, IELTS 6.0 or Cambridge Certificate of Proficiency. In addition to these general requirements, the applicant must meet the special requirements that apply to each of the programs. Finnish universities have no tuition fees (except Student Union Fees which is like 80 euro/yr) for regular degree students - education is subsidized by the State through the Ministry of Education. This also applies to the international degree students and to exchange and visiting students as well. Average salary for INSEAD MBA graduate in 2017 was USD 105,000. Average GMAT score for admitted students was 709 (2018 Class). 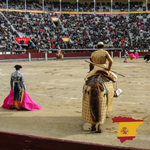 HEC Paris, IESE Spain are some of the top rated management programs in the world. Many students from US get a degree from these management programs to get International Exposure. Find information on Universities, admission procedure, courses, student visa etc for various countries within Europe. Free Education: Europe Find information on countries offering free education to international students. Erasmus Mundus - Cooperation of higher education of EU with rest of the world. Europass - Mobility and transparency of EU nationals within Europe so that their skills and qualifications are clearly understood. How to get admission in top Universities in Europe - Criteria for admission in European University? How to get admission and required documents. Popular Schools/Colleges in Europe - List of popular schools and colleges. Europe: Language Issues - Europe has many culturally rich countries and it can be challenging for international students to go through language barrier. Best High Schools List and details of some top high schools in Europe. Top Engineering Colleges - Europe has one of the world best Engineering colleges, Low education cost (as compared to USA) make Europe a popular destination. Automobile Engineering Europe has world best automobile companies. Automobile Engineering is a very popular choice. MBA from Europe - Get a MBA from top schools in Europe, Find more information on admission procedure, financial aid and more. Summer Schools - Europe is very popular destination for summer courses/semester. Top Medical Schools - List and info on best Medical schools within Europe.